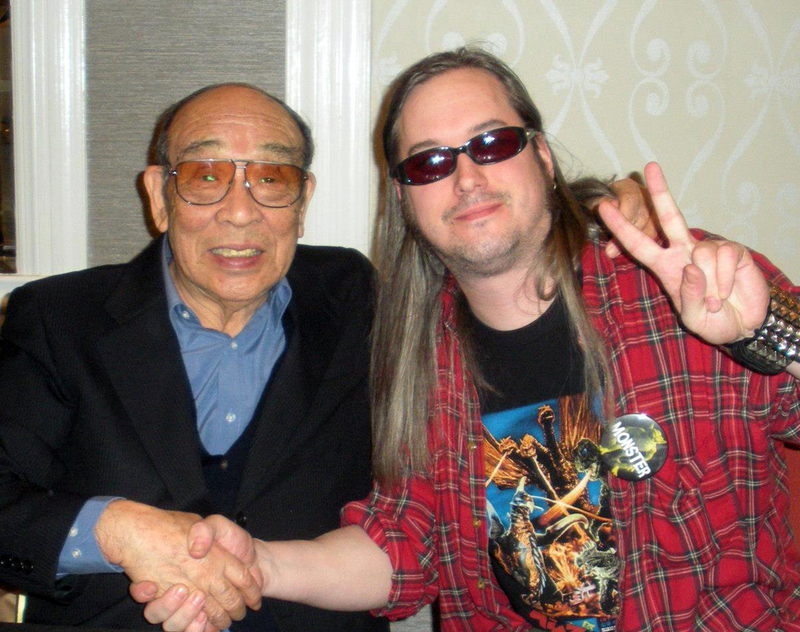 From the Mad Monster Party in North Carolina, Haruo Nakajima and comic book artist, Jeff Zornow cross paths. Just a brief word of warning: recording conditions were not ideal for this interview. You’re going to hear some heavily processed audio, but I assure you, it is worth it! Why? Because we had an awesome time talking with Jeff Zornow – horror and comic book artist, lover of metal and clergyman in the church of Godzilla…and when it comes to kaiju, Gatchaman, Ultraseven or the Giant Robo OVA, Zornow is one of the most passionate people I’ve ever had the pleasure of hanging out with. Those who went to last year’s G-Fest listener party will remember his enthusiasm! I thought it was definitely time to have Jeff on the show again and this time, his recent trip to North Carolina’s Mad Monster Party resulted in him meeting the Godzilla actor, Haruo Nakajima..
We talked about many things with Zornow – his history as a Godzilla fan, his upcoming and existing projects and places where you can buy his art, so please make sure you click on those links in the notes below! 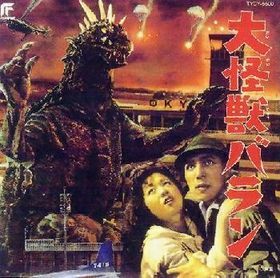 As we mentioned in the last episode, our Daikaiju Discussion film this month is Toho’s Daikaiju Varan (1958). I’ve been looking forward to this one for a long time and am really looking forward to not only talking about the film with my cohorts for the night, but also reading your homework! If you want to have your thoughts, questions and reviews as part of the next episode, please make sure that you submit it by the 23rd of this month.